We are all about the Peeps today. 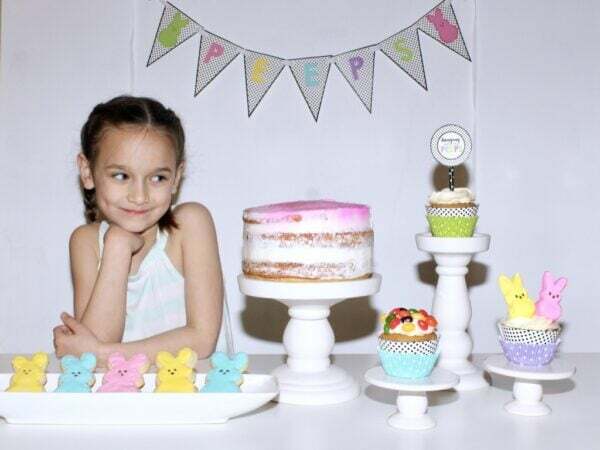 If you are thinking about throwing an Easter party this year and want a kid-friendly Easter theme, you can’t go wrong with this fun Peep Party! 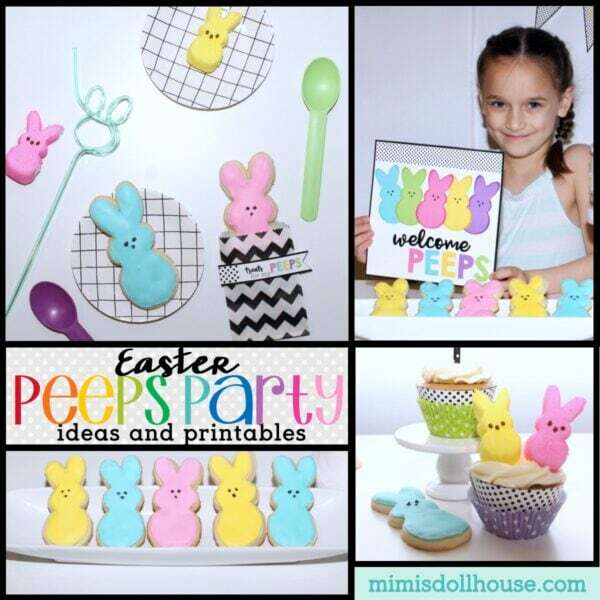 Download some free peep themed printables, grab some marshmallow peeps and check out these adorable Easter kids peeps party ideas! Peeps are pretty much the birthday cake of Easter. There is nothing that says “We are throwing an Easter party! !” quite like cute little peeps. 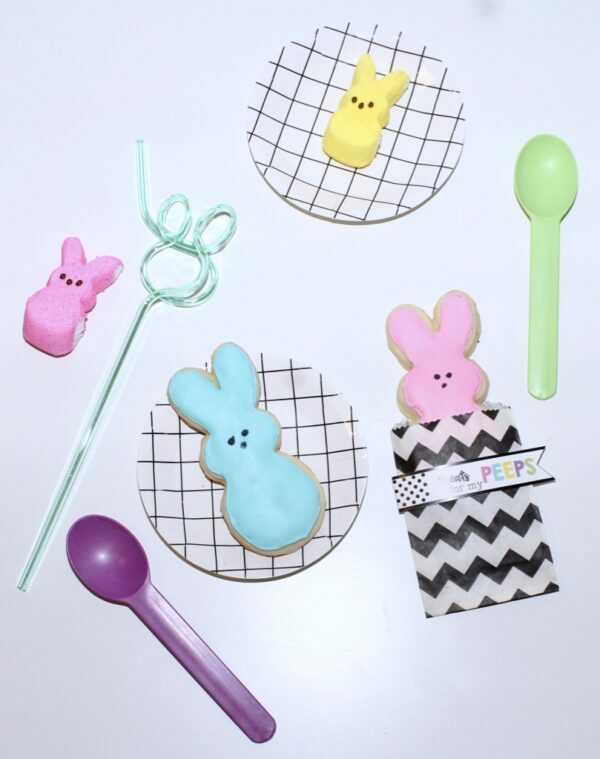 Whether you are a bunny peep or a chick peep kinda gal, or you like your peeps yellow or blue..you can use those cute little marshmallows to throw a kid-friendly Easter party! We have some fun Free Easter Peep printables to help you out with that idea too…the link to download is below, but first, check out these fun peep printables in action. 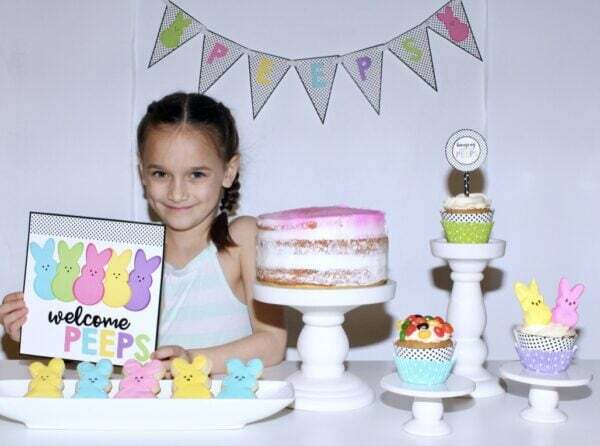 If you are feeling inspired, keep reading and check out the awesome Easter activities with peeps and Peeps dessert ideas! Welcome Peeps!!! We threw a fun little peep themed party to get into the Easter spirit. My daughters were so excited by the fun pastels and the clever play on words with the Peeps candy! For this little party, we made vanilla cupcakes with buttercream frosting, which we topped with a combination of jelly beans, cupcakes toppers from the printables and of course, actual peeps marshmallows. The kids enjoyed decorating and eating the cupcakes! Aren’t those Peeps yellow bunnies the perfect cookie? Making peeps shaped cookies was one of my favorite parts of prepping for this party. Finding a cookie cutter shaped like a peep was actually a bit of a challenge. I was so excited when I finally found the perfect fit!! I used this awesome peep shaped cookie cutter to make the fun peep shaped cookies. The cookies were super simple to make. I used my basic sugar cookie recipe and some royal icing. You can buy that mix or here is a great royal icing recipe to use!! If you are new to cookie decorating, you also need a piping bag, icing tip 1/2, coupler, and clip. I recommend this piping tip set. It’s reasonably priced and includes everything you need. Prepare the cookie dough per the recipe. Once the cookies are ready to cut, roll the dough out to 1/4 inch thick. Use the cookie cutter to cut the cookies and bake. Once the cookies are completely cool (I recommend waiting a full day to top with icing), outline the cookies with the colored icing. Fill the center of the cookie with icing and using a toothpick, rub out any imperfections in the icing. Allow the icing to dry. Then add the black eyes and nose. You can also use these little black sprinkles for this detail! If you are going to throw a party, you need to have some party favors, right? 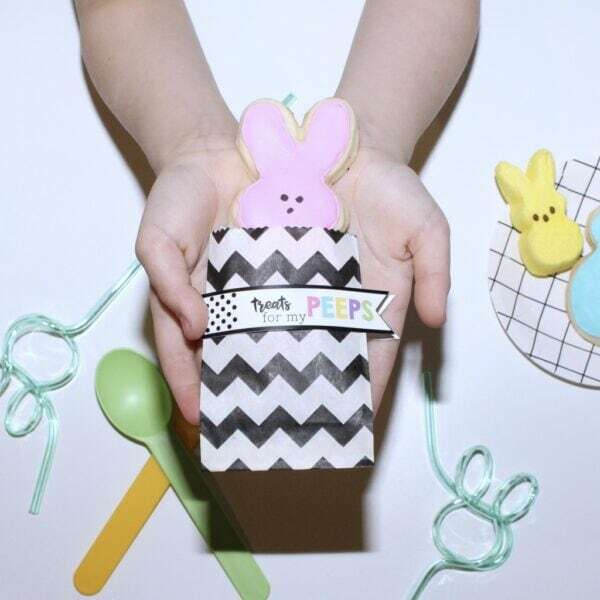 Why not put some of those delicious cookies into a little treat bag and make some “treats for your peeps”!? Making Easter treats for your kids using Peeps is really simple. You can bake and decorate sugar cookies like above, or you can use the peeps themselves in fun treats. I decided to put peeps on top of the buttercream frosted cupcakes. The peeps were perfection on top of the cupcakes. I want to eat all my cupcakes with peeps on top forever now. Ok, maybe not FOREVER…but at least until my peeps supply runs out. The part of this party that was the most fun, was mixing the pretty pastels with the black and white. I used black and white treat bags for the party favors, black and white mini grid plates for the food. I also found adorable plastic bunny straws at Michael’s! The kids also ate ice cream which paired perfectly with these adorable reusable ice cream spoons!! So one question you might be asking yourself at this point is “Where do I find peeps?” Target…you find the peeps at Target!!! This is definitely the best selection of peeps candy I’ve found anywhere (and yes it is an affiliate link so if you click my link below and order I will be compensated at no additional cost to you…but seriously…Target is where it is at!!) You can even order online and have them gather it all up for you. It’s winning all around!! 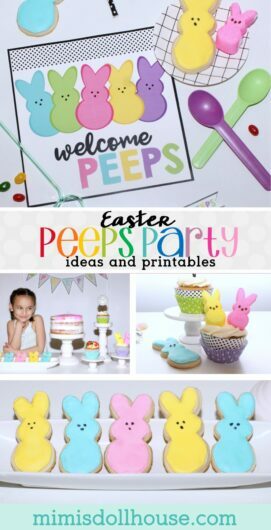 So the first amazing idea is to use the Easter Peep Printables to style an Easter party like the one above. 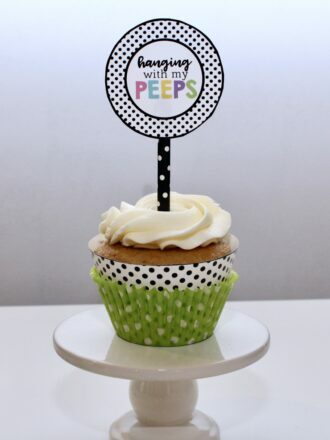 The printables have the five classic peep colors and lots of fun black and white dots! 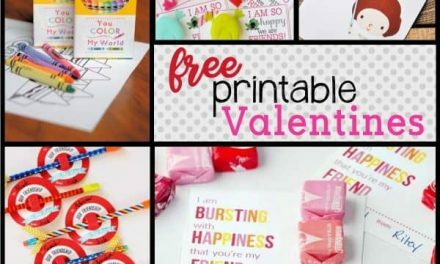 If you use the printables, I would love to see pictures! Make sure to tag Mimi’s Dollhouse on instagram or facebook when you share your photos!! Make your own peep. 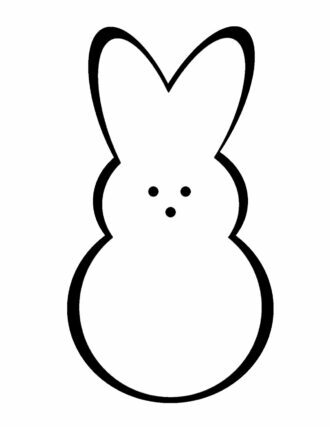 Use the below peep outline and have your child decorate their own peep. Be traditional and use glitter or glue and tissue paper squares, be creative and decorate your peep with personality! Whatever you do…have a blast making your own peep. Now let’s talk Easter party games! 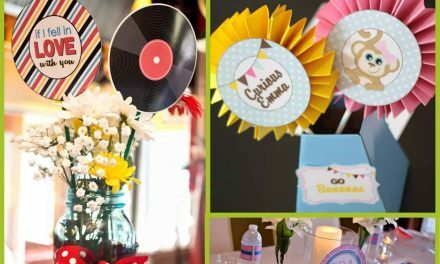 There are tons of ways to entertain your guests…both the large and the small…check out some of these amazing ideas! What is an Easter party without some party activities and games? Of course like any good Easter celebration, you can have a Peep themed easter egg hunt. Get plastic eggs and fill them all with different peeps. 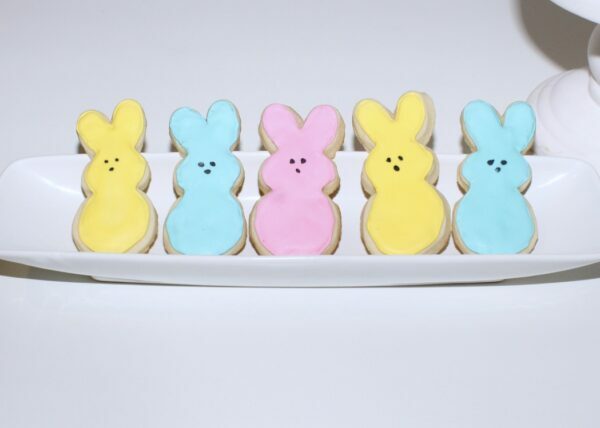 Have one special peep (like these sugar cookie peeps). The person who finds the special peep wins!!! Another idea is to build a peep house from graham crackers. Check out this awesome Peep house from My Mommy Style! 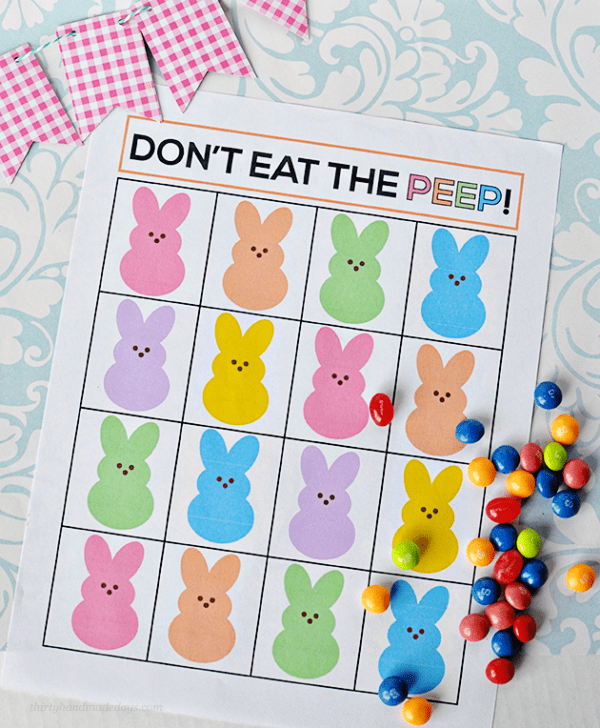 This adorable free downloadable game will have your whole family thinking peep! 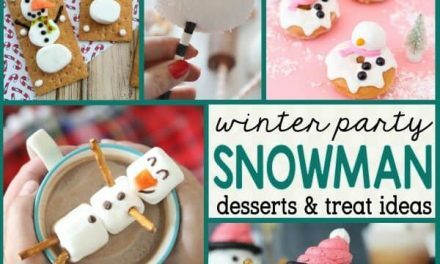 It’s easy and inexpensive…and of course, edible! Ready for MY favorite part of a party? Let’s talk about the dessert options for a Peeps party. 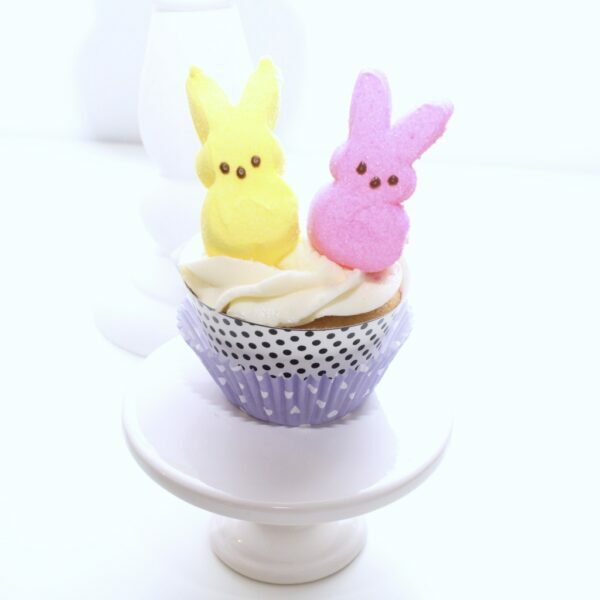 Peeps are naturally so colorful and shimmery…they really make the cutest desserts! Whether you are looking for Peeps cake ideas or Peeps candy options, you are gonna love these ideas! This adorable Peep cake is one of my favorites. I love the Rainbow feel it gives off. It’s so bright and springy. 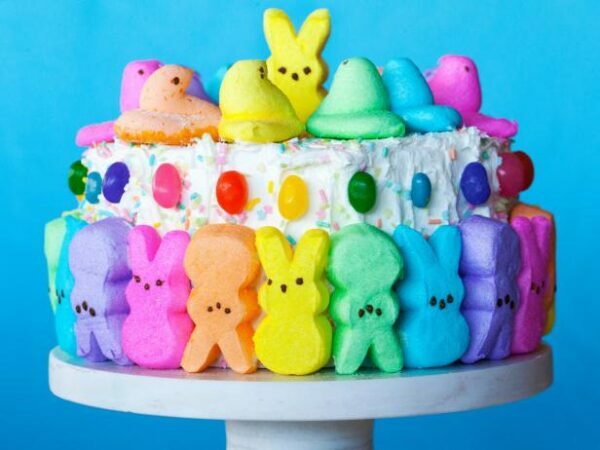 It’s truly the perfect Peeps cake for Easter! If you want to start your Easter off right, why not have some Peeps pancakes? 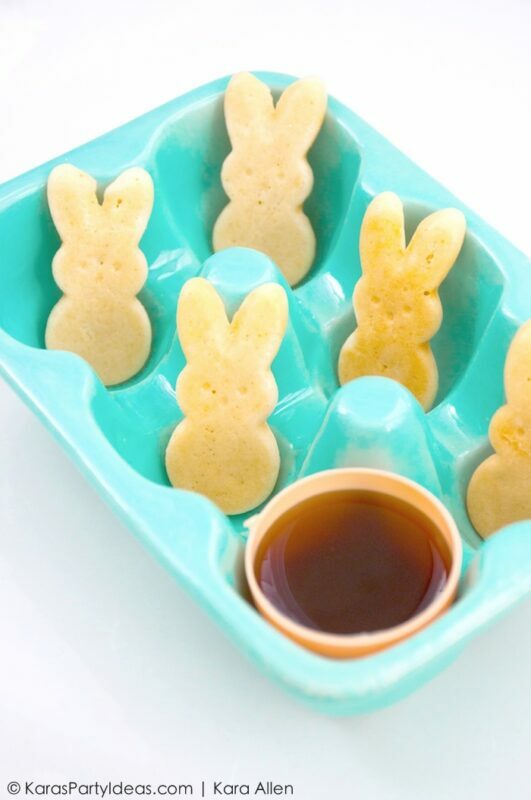 This is such a fun idea and I’m sure your little ones would go crazy over peeps for breakfast! Also, if Peeps for breakfast ARE your thing…check out Peeps Cereal!!! 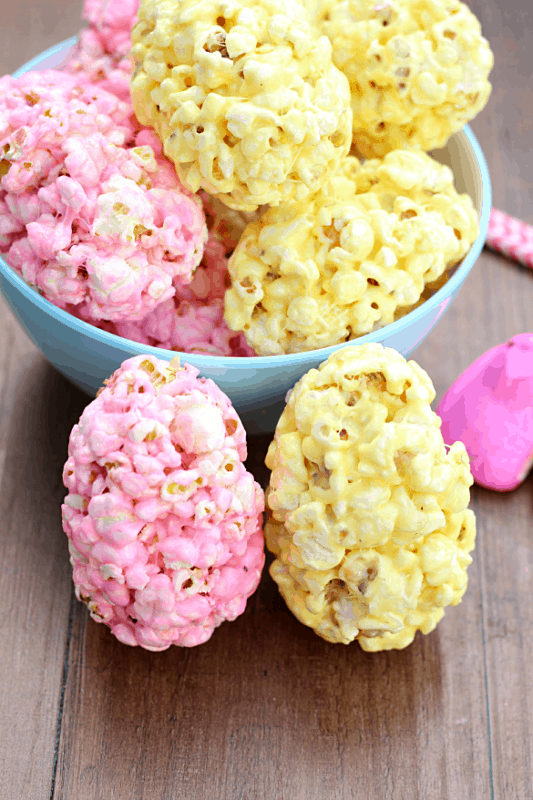 Make your own fun and delicious Easter Eggs with Peeps and popcorn. I’m in love with this idea! This fun idea can also be done with Rice Krispies treats instead of popcorn. You had me at chocolate! 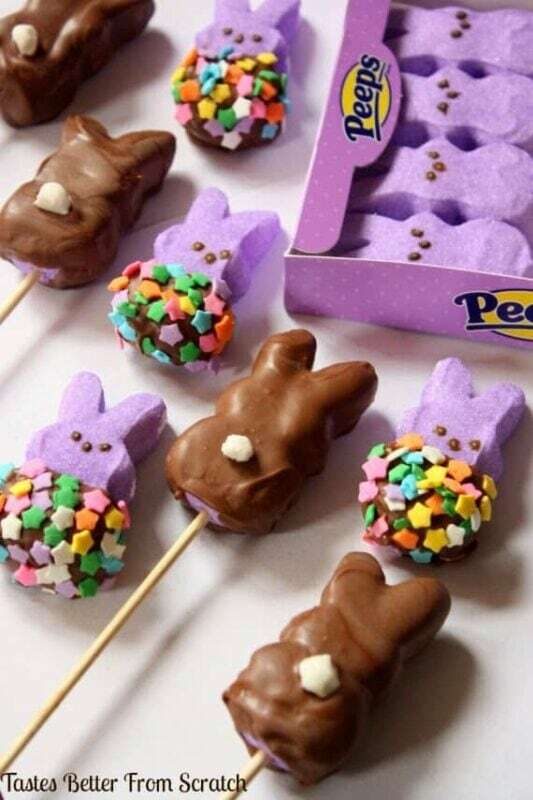 Seriously though…these chocolate dipped peeps are a wonderful Peeps dessert idea! Especially if you love chocolate! Oh, yummy! I love brownies and the cute Peeps just make them absolutely perfection! Here are some fun Peeps on a stick ideas. 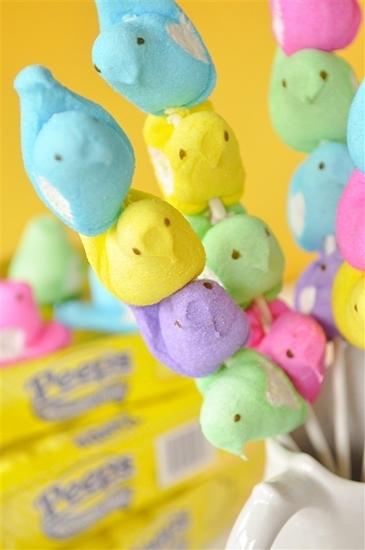 I love how many different ways you can actually put a peep on a stick!! Which is your favorite? Here is an adorable idea for using Peeps chicks. 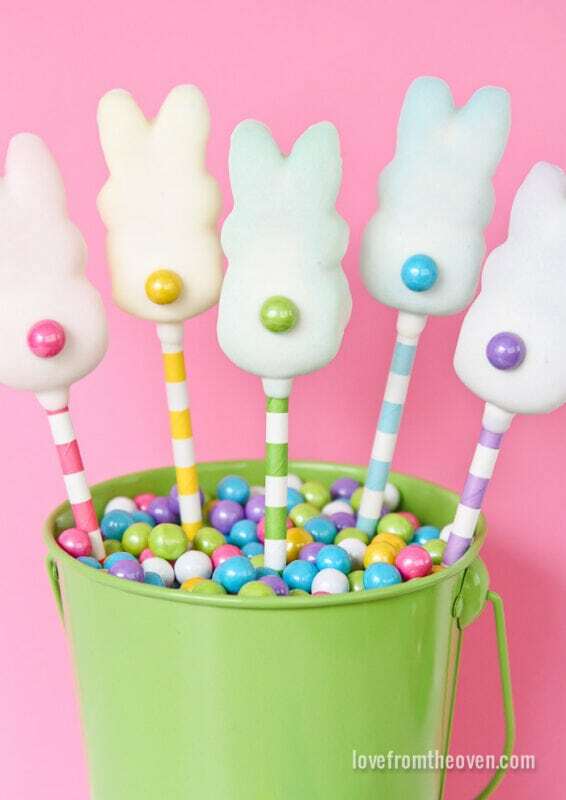 You can stack those cute little marshmallow chicks all on a stick and use these to access dessert tables or even as a centerpiece on your Easter table. Wouldn’t your kids LOVE having these Peeps sticks instead of flowers? 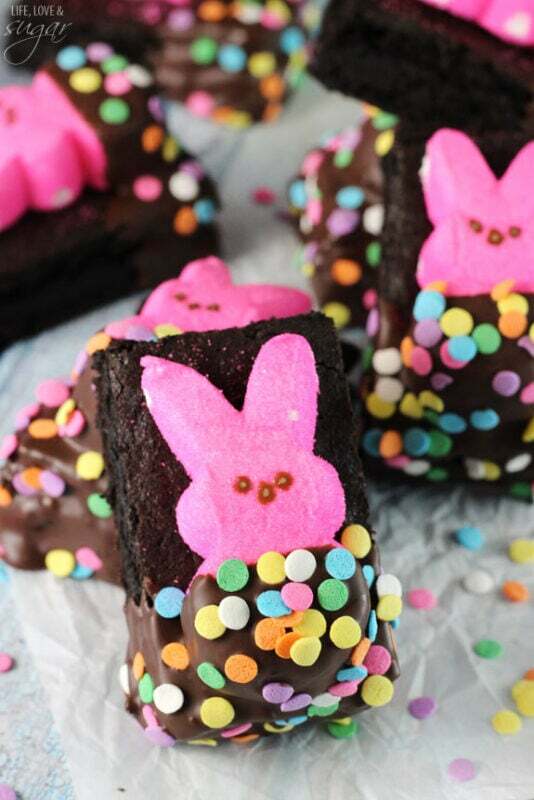 How about making Peeps brownies? I’m a huge sucker for brownies. They are one of my favorite, easy to make desserts. 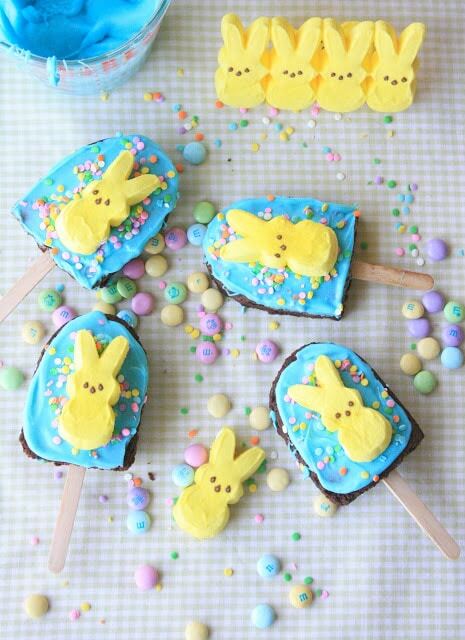 These brownies are so stinking cute with the blue frosting and yellow peeps! The colors accent so nicely, don’t they?? 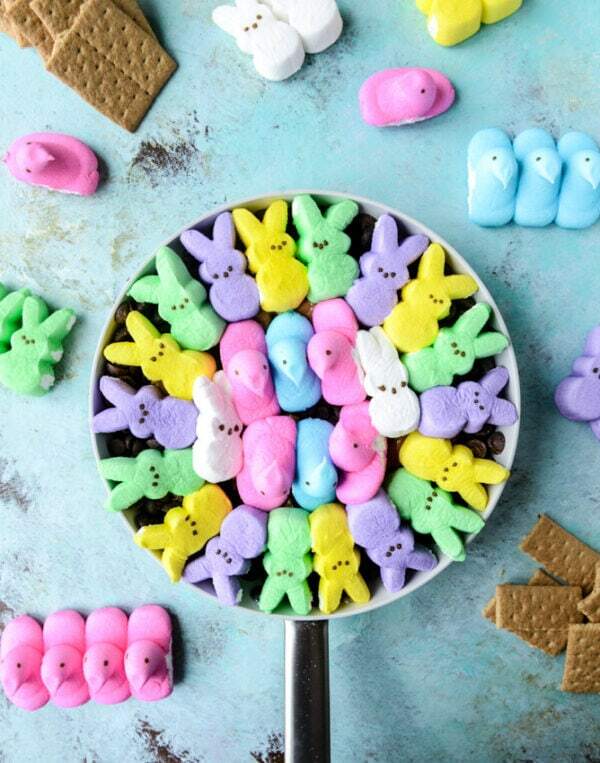 Let’s make some cute, cute, cute Peeps on a stick pops! I love the color coordinated paper straws and sugar pearls. This is such a great idea! It has a unique spring feel! Have you thought about melting your peeps? You can actually bake Peeps in the oven or even put Peeps in the microwave to expand your Easter baking options. Melted Peeps are delicious! Don’t let the crazy Peeps and microwave videos scare you off…yes they expand! I feel a science experiment coming on!!! Just saying the words Peeps and peanut butter in the same sentence makes me immediately hungry! These Peeps Peanut Butter S’mores are like I’ve died and gone to sweets Heaven. Here is a great take home Peeps gift idea! 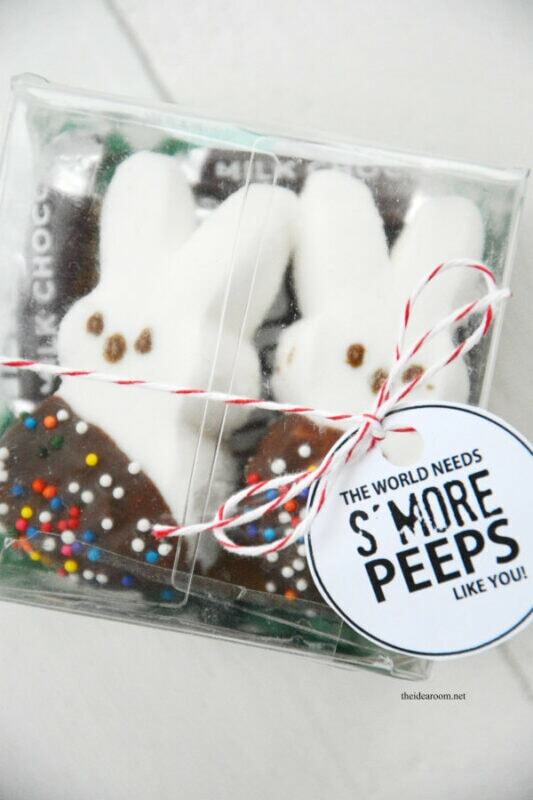 Make little Peeps S’mores to go and give them to your favorite peeps (ha ha…see what I did there!) for Easter. Delicious and adorable! These are sure to be the talk of the party!! Here are even more Peeps Recipes and Ideas from Love from the Oven! Check them all out…the peep possibilities are truly endless!! 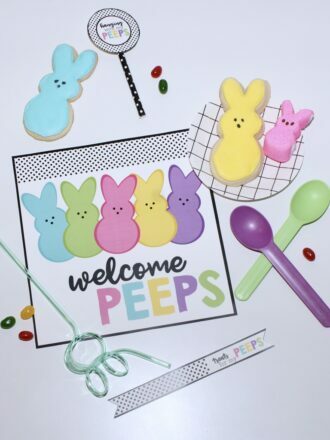 So whether you are all in for a Peeps themed party, looking for some quick Easter tags or just want an amazing Peeps dessert to wow your guests, These Easter ideas using Peeps are sure to inspire your craftiness…or at least give your sweet tooth a workout! 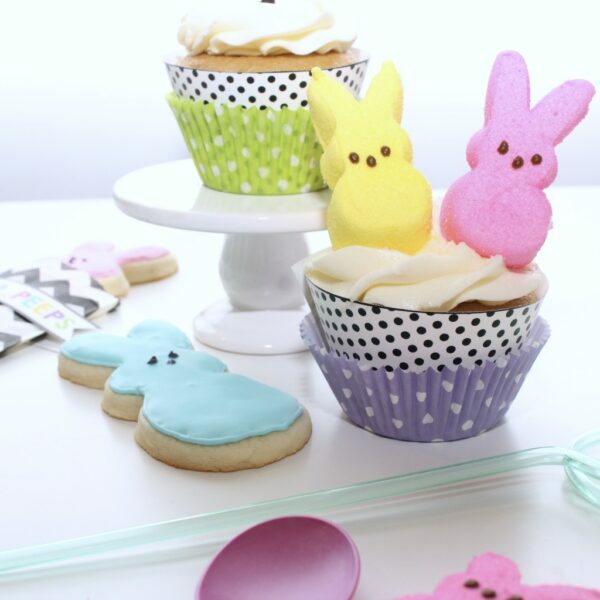 We love sharing ideas so please let us know that you loved these Peep ideas by sharing!! Comment below and let us know which idea is your favorite and how you plan to use your Peeps this Easter! Thank you! Peeps are so fun to work with! Those bunny treats are adorable. I still don’t know what I will be doing for Easter but this is a great idea. I love Peeps. These are great ideas on recipes with them. Love the cookies. Peeps are so fun! The cookies were super easy to make!! These are some amazing ideas!!! Nice job on it all. OK now this is an idea I can get behind! 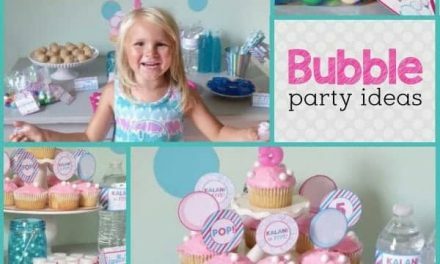 What an absolutely fantastic idea of a party and all those different things you can do with Peeps as well! These are such fun ideas. I love the cute little peep pancakes. I’m actually surprised they don’t sell these in the store prepackaged lol. Aww they are so cute <3 You have given so many ideas to use them and create the shapes. Peeps can be used in so many ways. It will be fun to create Easter theme using peeps. Great timing with your post! I’m looking for some fun ideas for my grand kids for this coming weekend for Easter and love these! Thanks for sharing! I love peeps! My little brothers would love this! Sending to my mom! Yes without peeps there is no Easter party. Everything looks really nice. She is enjoying it. I need to make some for my kids too. So many wonderful things to do with peeps! I love all the ideas with chocolate. It looks like your daughter had an amazing party. I will keep some of these in mind with we have an Easter family get together this year. These are some super creative ideas! My kids would love to do this with me!